UHMW tape can be used in place of Teflon tape for sealing control surface gaps and reducing friction caused by the Mylar sliding over the control surface. 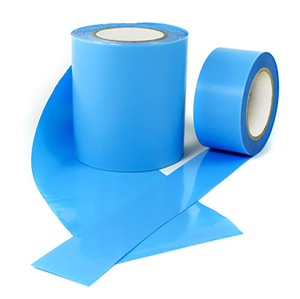 The backing paper is blue in colour however when the backing paper is peeled off the tape is translucent (with no colour) just like conventional Teflon tape commonly found on gliders. This UHMW tape is available in 30mm and 40mm widths and sold by the meter or in 33 metre rolls.